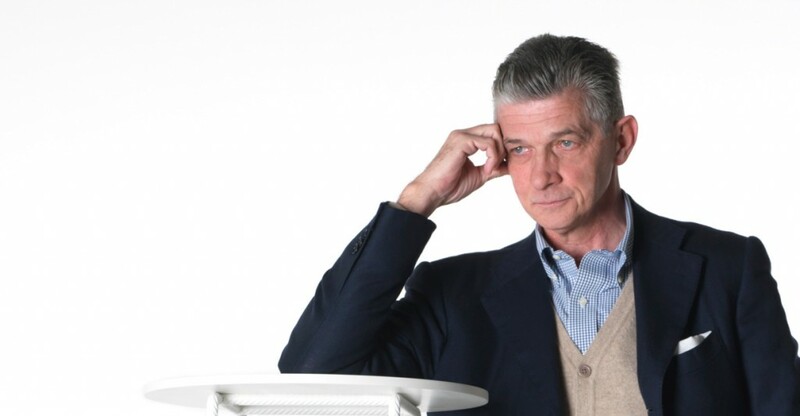 Over three decades ago, Giulio Cappellini, who was studying to be an architect, decided by his own admittance, in a drunken haze, that he would join the family business. In that time, he has helped launch the careers of today’s most important designers: Marc Newson, Tom Dixon, Jasper Morrison and many others. He speaks with Design in Mind about his vision, his instincts and his love for design. 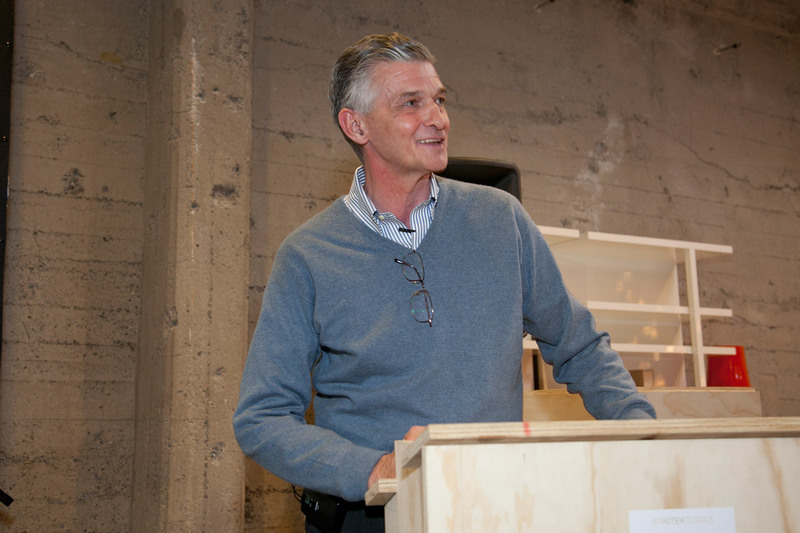 Listen here to our conversation with Giulio Cappellini or subscribe to the podcast through iTunes. Take the conversation with you and keep Design In Mind. Below is a transcription of the Design In Mind interview with Giulio Cappellini. I started to travel to France, to England, to Japan, just to see what was going on. So, I started to work with, at that time, totally unknown designers and at the beginning it was quite difficult for me because my colleagues, they were telling to me, “Are you crazy? Why you work with foreign designers? You want to kill the Italian design?”, and I say, “No!”. Because, I think that the Italian design was a phenomenon on one side, [and there were] talented designers on the other side, just entrepreneurs that believe in design like a form of business. So, I think that for me, I don’t take care if your designer is 20-years-old or is 8-years-old, I don’t take care if he was born in Sydney or in Milano. For me, the most important thing is try to do useful and beautiful objects. And I think that now, after 25 years, when you look at the catalogues of the most important design-oriented Italian companies, more than 50% of the products are designed by foreign designers. So, I am very happy to see that really very young people, that start[ed] their first project with Cappellini, now are stars of international designers. I’m speaking about Jasper Morrison, Tom Dixon, Mark Newson, The Bouroullec Brothers, Jean Marie Massaud, Marcel Wanders and many, many others. When they ask me what is Cappellini, I always say that it is freedom: Freedom to work with different designers coming from different countries with different cultures, freedom also to work with people with a totally different approach to design because the approach of Morrison is very different from the approach of Newson and the approach of Newson is different from Wanders. And for me, I like the freedom to work on the global concept of this company. That means to try to create a fil rouge that connects all these different personalities of the designers. That means that also the products are very different. They have to speak one language, that is the Cappellini language. This is very important. On the other side, there is today a new freedom that is the freedom of the end consumer. In the past, the end consumer, they like to have their home exactly like their friend’s home. Now, they want to have exactly the contrary. That means that they want to have their own home that reflects their own personality. So people, now, they like to mix different products, designed by different designers, produced by different companies in different parts of the world and also producing different periods. That’s why you can mix a fantastic contemporary piece with a beautiful piece of the ’50s, why not? When I think to the Cappellini fans, many times they are young people, wealthy people, and they live in the center of the big cities. They don’t live in 600 square meter apartments, but maybe they live in 100 square meter apartments. So, also to work on the right scale, to try to do a nice product but with the right scale is very, very important because working out of scale is always very easy. That’s means if you take one object and you go out of scale, it becomes beautiful. It’s is more difficult to do a nice table that is two meters long [rather than doing] a nice table that is four meters long. But this problem of the scale, taking care of what are the real needs of the end consumer [are], it’s very, very important. I always say that I am very happy when a Cappelini product enters in a permanent collection of a museum and frankly speaking we have really many, many products in many different museums, but I am more than happy when I see a Cappellini product [enter] into people’s homes. That is the real goal of design, I think. We have to work a lot in communication of design because people, many times, they are still afraid about design because they think that they are used to seeing design pieces into the permanent collection of museum or into beautiful showrooms, but maybe for them is difficult to try to understand how they can just put design products in their own home. This is why we have to work a lot in the way how we present the products and also I think that we have to educate a lot the end consumer because we have just tried to show to the people what there is on the back of a product. To do a real strong product today it takes a lot of time, a lot of energy, you have to work a lot on prototypes sometimes. It takes months or years and this is very important to try to show this, all the things that are on the back of the product to end consumer, because sometimes people they buy the copies because they don’t know the originals. So there is a lot to do in this direction. Maybe we have to do less products, but to try to sell also the old products in a new way. I think that the most important thing is to work on long sellers and for people to see the same products in the market for 10, 15, 20, 30 years is a sort of guarantee. That means that, okay, if this product is still in production, it’s a really good product. That’s why also young people today are very fascinated from the pieces of the ’50s, because they say, okay, they were produced and designed 56 years ago and they are still in the market. So, this is I think very, very important. That makes the difference. I always say that design can create bestsellers. Good design can create long sellers. I always say that first of all we have to try to [make] useful and beautiful products, because nobody needs a beautiful product that are not [useful] but I have seen that with the objects where we also try to make people dreaming that is very, very important. I see this is very important for myself. I decide maybe to produce one product, when I say prototype I say, okay, I want [that] tomorrow, I want to have [that] tomorrow in my home. Frankly speaking, the story of the dream is very, very important, because you know sometimes, many people they don’t need of a new sofa, a new table or a new chair, but sometimes they find something and they say, okay, it’s fantastic. And so they become part of their life. This is, I think something that is really very, very, very important: Objects that are your friends, no, that’s mean that many times in the past mainly people consider just design products like a piece of art, something to show to your friends but not to live with. No, I think that this idea of products to live with is very, very important. Mies van der Rohe used to say that every material, natural or artificial, is valid if it’s well used and I totally agree with this. And I think that sometimes also maybe you see the technologies, sometimes you don’t see. But for us, for a company like Cappelini, to work always in innovation is very important because in this way if we invest in a product [that] people can copy maybe 80% but not 100% and this is again very important. So to do a new product is not only to do a new shape, no. Many times we started from the material, we decide to use this material and we arrived to the product. We don’t just do a product and after we decide which material to do. So this is the new way to approach design today I think. When some friends they visited my home, when my kids were very, very young, they would say, “Can you live here in this sort of museum?”, [and I would say] “Yes, we are used [to it] because we play with the piece of art,” and so my home is a mix of different things. It’s not only Cappellini products but some contemporary products for Cappellini, some unique pieces done from French designers. I have some pieces from the ’50s, I have some prototypes. I collect contemporary art because I really love art. I have complete walls with books because I love books and also have so many different products that I bought during my trips maybe in the Far East and since. On one side, I collect more European contemporary objects and I collect also all the objects coming from ceramics and glasses from the Far East. So really is a real mix and you can find maybe just a ceramic, a Chinese ceramic that is 2,000 years old close to Ettore Sottsass contemporary piece. Sometimes I tell to myself I have to decide, I am becoming old and I have to decide what to do in my life (laughter). No, no but frankly speaking I am very, on one side, I am very curious and on the other side I like very much to promote. Really, I am not jealous about designers that I discover and if I strongly believe in one person, I really like to push and for me this is very, very important and I think that now, being part of the [Poltrano Frau] group, I can take care of more of the creativity also for sure, when we do one product we have to think to a product that enter in the market. I can do also many different things. In fact, Cappellini is one of my activities, but I like to teach worldwide and I am curator of different exhibitions and I also follow other companies maybe I like, maybe to take small companies and to try to give a focus on design. I really like work really a lot and then sometimes when I tell to my friends I work very much they say, “Okay, because you know is because you don’t want to stop.” Now you know I am designing also a car with a group of people. That will be a fantastic sports car, very limited edition. It is a new experience and for me it’s fantastic, because again I think the most important thing is really always to open your mind and for me, for example traveling is very important because when I go back I have always lot of new ideas now looking how people live, looking to the atmosphere of the cities and it’s incredible to be here in San Francisco today and I see that the atmosphere is totally different. And also LA, thinking about the States, it’s is very close to San Francisco, but they are two totally different atmospheres and this is very, very interesting, very important because also if maybe I stop for few hours in a city I always get a lot of inspiration. I think that this idea, to get inspiration everywhere and from everything, is really very important because I think that there is always something new to discover. Sometimes people they say everything has been done. No, is absolutely not true. I think that we have really thousands, thousands, thousands of new things to do and we have to try to work in a proper way to try to do good things, but really I think that is not true that everything has been done. Working in design, we have a fantastic possibility to show what the way we think [is], just doing things. After that, people, they can like or they cannot like, but if we spend too many work to explain what we are doing is because we are not 100% convinced what we are doing. So really for me is always something that comes from me. You know that means? Yes, I see something, I say, okay, this is beautiful or maybe the same you know with designers that for me is very important to establish a very good feeling with them. Because to do a new product today it takes time, sometimes from the first idea to the final product you change many things, and so to have the right feeling is really very, very important. And [in] my life [I’ve] also had the possibility to work with some other designers that are not part today of the Cappellini team and maybe after three, four meetings we didn’t find the right way to go ahead, so I decide to stop and that’s all. But for me the first impression is really very, very important, is the most important thing. The young students, they ask me, how we can arrive to be a good designer and so I always tell to them do few things, but good things. And sometimes, you know, young designers, they look to the designers, to the big stars, and they think that they can do a chair in six months, they can become rich and famous. Now, I can tell you that really old, at that time young designers that now they are not so young, really they became what they are first of all because they are very talented but also because they work in a very professional way and are working for me. It was on one side very good to discover them but it was also a very strong privilege to work with them because many times you find very young but really very, very professional people that they understand that you know you have to follow the development of a product step-by-step. You cannot think you can do 100 products in two months and that is very, very important because for sure again the talent is very important but also to be professional. This is absolutely very, very important and this is the lesson of the big masters of design. Sometimes they ask me which are the products that you prefer in the Cappellini collection and I always answer, “For a father, is always very difficult to say which is the best kid, you know,” but frankly speaking the products they like many times are the products in which we suffer more during the prototyping, starting from the first day we have to arrive to the final product. Most of them in the end are the most successful products for Cappellini. To start from an idea, to arrive to a product is really not easy but it is something that I really love to do. One of my dreams is to do books only with the images because I think that beautiful images can be understood from everyone in the world, so to do books with images and without words. Now we are working on the book on myself that will be quite interesting because I didn’t want to do a book, because I said, “I am not dead!” (laughter). Anyway, this book, it will be just a book not just showing the products but just showing this friendship with all the designers and showing to the people of these fantastic meetings with these fantastic designers and friends. To work with passion, I think that passion is everything. For sure we have to survive, we have to do products that we have to sell back. On one side, really the passion is very, very important. And never be satisfied. We have to always to think that we can do something better. That’s the most important thing. Today, I think that the most important thing is not only to create products, but to try to create what they call a new landscape. That means that we have to think how it’s changing the way of living of people, how it’s changing our order: The roles of the different rooms of the house are changing. The bathroom is becoming the wellness room, the kitchen is no more one area where you cook but you stay with your friends, you work with your computer and so and so. So I think that today, again, we have to try to start from an environment, from a landscape, and after to try to do products that can fit in this landscape. We have to try to think in a more global way and this is the [transformation] of the scale of the project. For sure, in this landscape we need to put some products, but is not enough, no, we have to try to imagine which can be the landscape in which people they can live in the future, thinking to all the changes of the end consumer, thinking to the new technologies that again are entering into people’s homes. In the past, we [were] considering technological pieces like enemies [in] huge grey boxes. Now, everything is becoming very, very small, the technologies becoming more friendly you know, so I think this is something that I think that is very interesting and this is the real concept of today and as I told you, I like to be contemporary and so I like to think in this way.